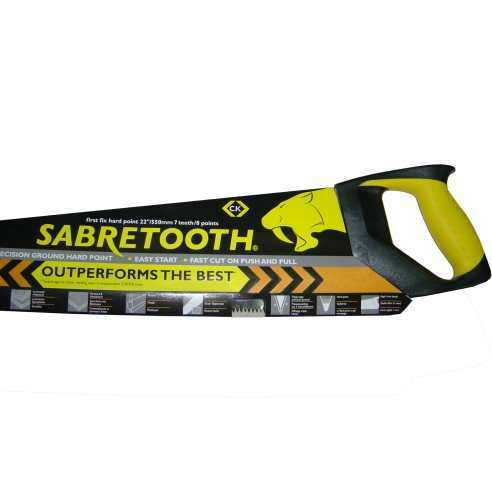 With the precision ground sharpness of the triple edge hard point teeth, The Sabretooth outperforms other leading saws both in the speed of cut and retained sharpness over many cuts. It is ideal for cutting on timber, hardboard, MDF, chipboard, PVC and plastic. 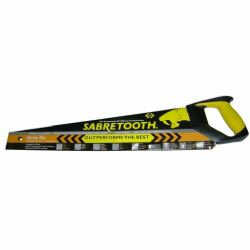 The Sabretooth saw is a fantastic handsaw and although designed for the professional, is extremely easy to use.